After my previous post about inventory management, I decided it was time to invest a little effort into customizing Jenny. But I decided to do it all with freebies, just to show you how you can customize your look without spending a single penny (or Linden) while doing it. By the way, have you noticed the latest change to this site? It has a new address: aislingssecondlife.com. This change has resulted in one more change: no more advertising! I figured I owe that much to you, my readers. The internet has far too much advertising as it is, and I’m just doing my best to reduce the distractions. So adjust your bookmarks accordingly! We now return you to your regular post, already in progress. There are Freebies, and Then There are FREEBIES! 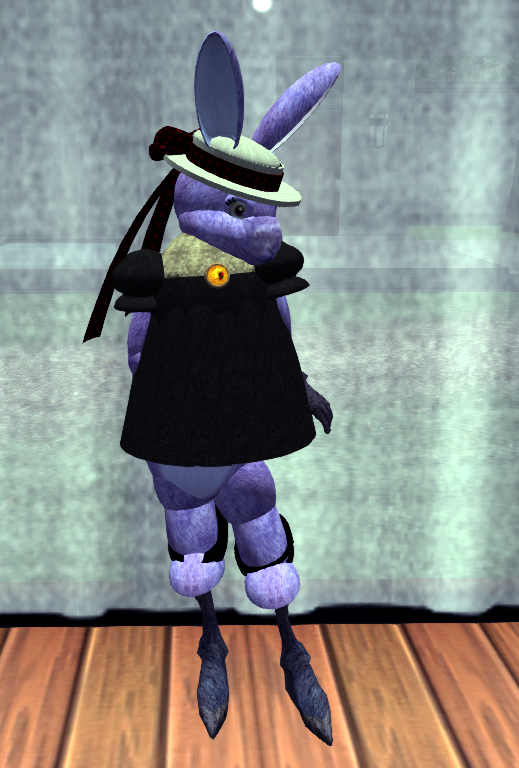 Just as in real life (RL), free things in Second Life (SL) are often worth what you pay for them. Fortunately, there are many vendors of high-quality products who offer their goods for free. This is good advertising for them: by giving you a sample of their product, they hope to get your future business if you decide to obtain more of their product. This makes perfect sense, if you think about it. At the same time, these designers also know that now everyone in SL has money to spend, and the more considerate of them offer their goods and services for free. But not all free goods and services (freebies) are quality. Often, they’re the result of someone’s first building project that they’ve decided to share. And many of them come packaged with a lot of junk, too. One way is to look on the SL Marketplace. Because merchants pay for their products to be listed, you can be pretty sure that they won’t be offering junk. I do a lot of my shopping there—even for freebies—and I’ve rarely been disappointed. Another way is to visit one of the many newcomer-friendly locations in SL, such as New Resident Island. Jenny did, and that’s where she found her new shapes, skins, clothing, and manicured nails. A unique look, comprised of freebies! Next, we’ll look at Animation Over-riders.